Kritikal Bilbo x AK-47 Marijuana is a fast-flowering strain with an outstanding power and a powerful sativa effect. 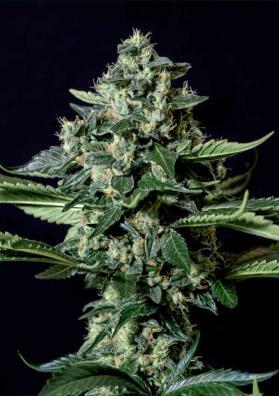 Kritikal Bilbo x AK-47 is a feminized hybrid strain of Marijuana the result of a cross between the famous and award-winning Kritikal Bilbo and the famous AK-47. This is a fast flowering Cannabis with a delicious sweet and fruity flavor that will satisfy those in seach of an expericence for the palate along with a cerebral experience. It has mainly a Indica effect, relaxing but with a hint of Sativa which makes its consumption more pleasant and tolerable. The plant has a medium-high height with a fast growth, producing dense and very compact buds full of resin. In a growing room and after only 50-60 days of waiting you can reap some nice outcomes between 400-450 grams per square meter. In outdoors, it will be ready to be collected in October with an average yield.